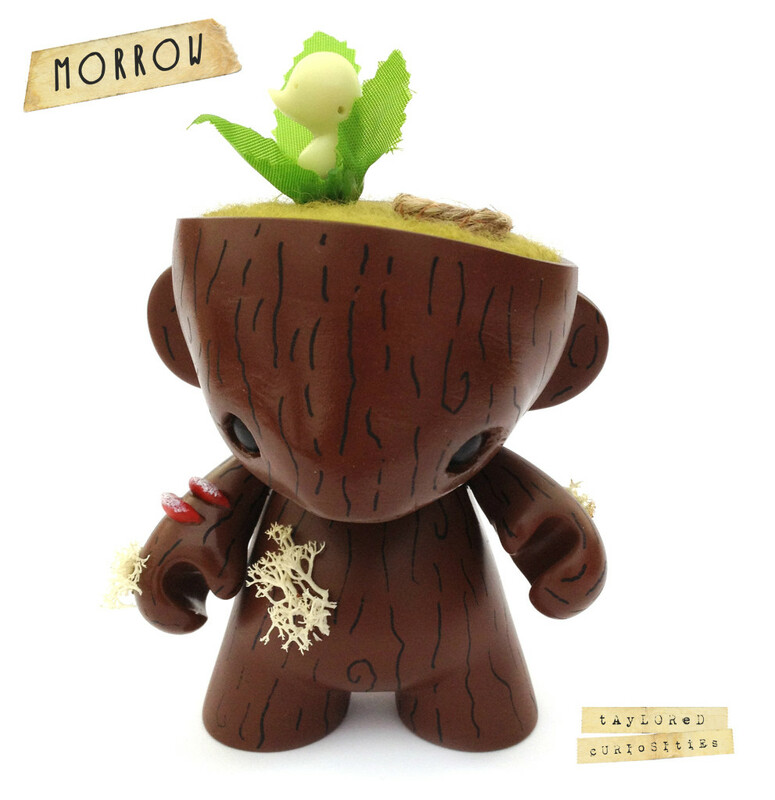 I have used a 4″ DIY Kidrobot Munny and combined sewing, my original resin toys, sculpting and up-cycling with painting and needle felting to create this one of a kind creature. 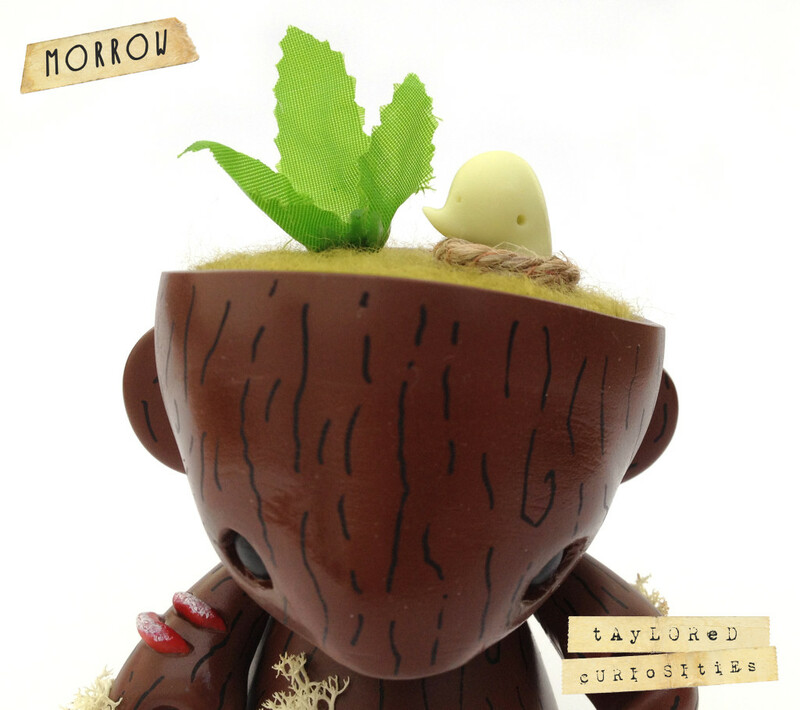 The Morrow is hand sculpted and cast in a minty green colour and measures a tiny 2cm. The forest floor is needle felted with an artificial leaf adorned with a button, fixed in place. The Keepers face is hand sculpted and painted. 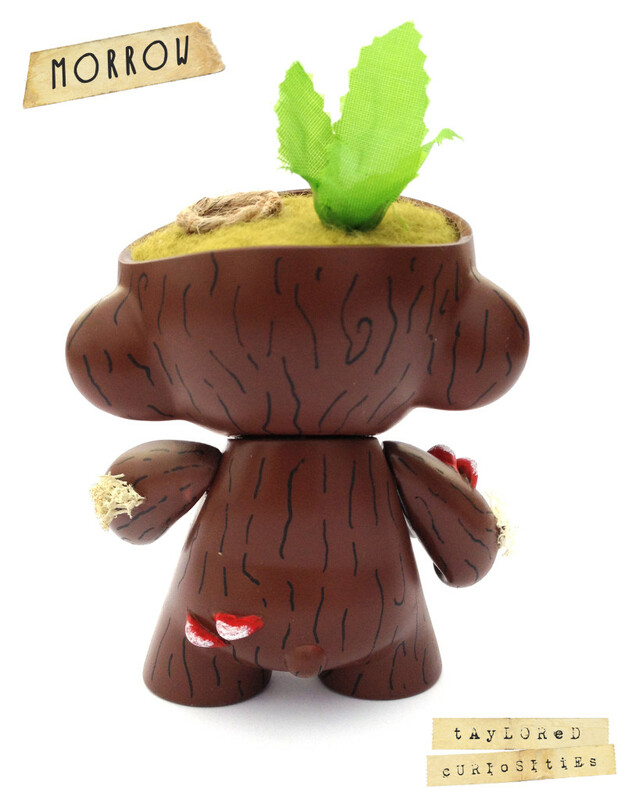 The fungus is also hand sculpted and painted and there finished off with moss. A hand sewn nest is the perfect resting place for the Morrow when it’s not off collecting biscuits for the Keeper. All Morrow products are accompanied by an originally poetic back story in the form of a tiny concertina book. Custom is signed and dated underneath. Morrow © Taylored Curiosities. All Rights Reserved. Not to be replicated.